Both RealXtend and OpenLife servers are based on/copies of OpenSim. OpenSim is a BSD-licensed/Open Source community developed alternative server to Second Lifes main grid. yea amazing how much information you got wrong in this article, OpenLife is just running OpenSIM and so is Realxtend they are all the same thing. Hm, ok, I didn’t realise that the RealXtend and OpenLife servers were based on OpenSim — thanks for the info. I get the impression that RealXtend has made some significant changes, though — I don’t think they are actually the same server. Yeah just to clarify things a bit. OpenLife grid is one of a number of grids that run OpenSim servers. OSGrid and Deepgrid are another two. More and more are appearing all the time. Openlife grid also host a precompiled standalone version of opensim, again this is just the standard opensim server, set up to work in standalone mode. RealXtend is made up of two applications, the server and viewer. The server is based on the opensim server. But with a few extra features to support the new features they have added to their viewer. (these extra features in the server will soon become part of the standard opensim server). Most of RealXtend work has been in their viewer. 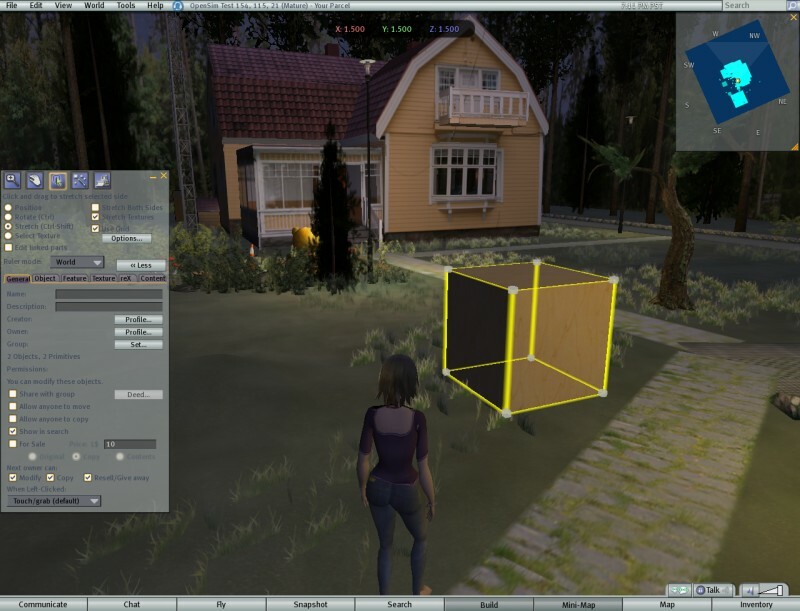 They have taken the SecondLife viewer and changed the 3d graphics render and added mesh type prims. However its at a very early stage and lots of work left to be done. As you said, there Avatar system is very basic and as it stands at the moment, its not possible to wear clothes or edit your avatar in world. As as its implemented at the moment, its not a easy thing for support for in world editing to be added. Then their is OpenSim, which was started just over a year ago. This is a open source virtual world server, its goal isn’t to clone SL, but rather to be a platform for various virtual worlds applications to be built on. It also aims to support various clients/viewers. At the moment those are the Secondlife viewer and coming soon the RealXtend viewer. Their is also a sister project of opensim to create a completely new viewer that isn’t based on the Secondlife one. So Opensim is the base to the other two projects you mentioned. With openlife grid just being a grid that runs the opensim software (and I believe are doing tests of running the realxtend server). While the RealXtend server, is basically the opensim server with a few extra features (as I said, most of their features are actually client/viewer side things, so there isn’t actually that many big changes on the server side). Thanks very much for the clarification — much appreciated.